You can create a link to a document either by highlighting the text you want to link or clicking on an image, then selecting the appropriate link option for either. 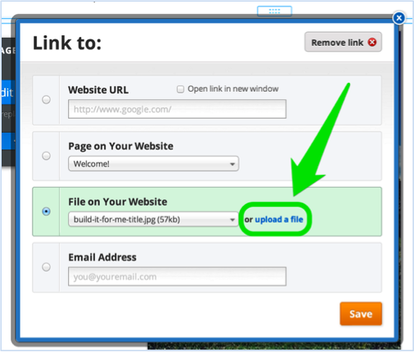 Either option will open a link dialog box from where you'll need to select the File tab on the left and then click the Upload a File button. And then select the file you want to upload from your computer. Then you're all done. 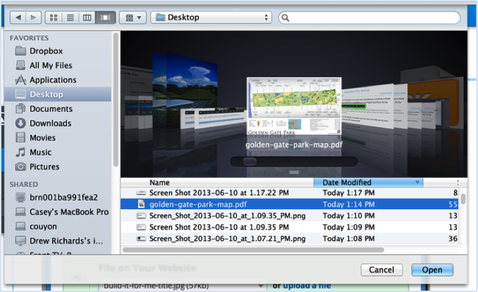 The link will be live and clickable on your Published site and your visitors will be able to download the file directly to their own computers.